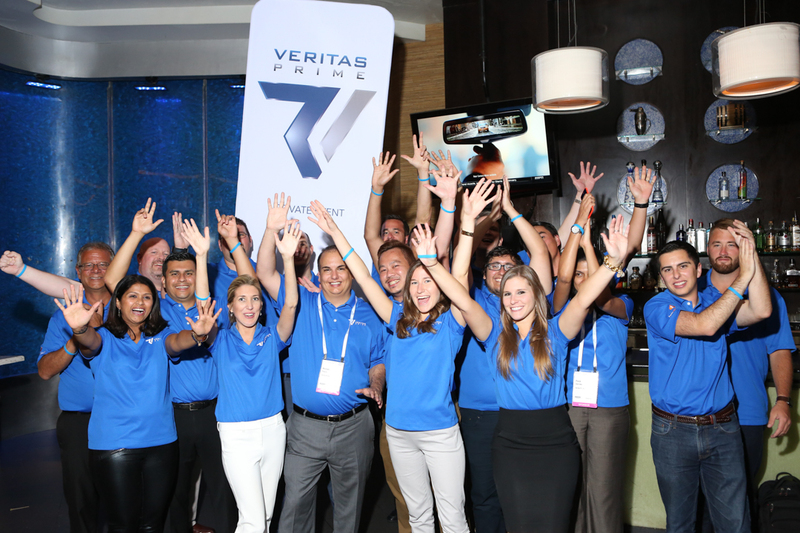 WOODCLIFF LAKE, N.J., August 15, 2017	(Newswire.com) - Veritas Prime, "Truth & Excellence," today announced that the company is again a Gold-level sponsor at SAP SuccessFactors' annual SuccessConnect® conference — the premier event for human resources (HR) professionals, where leaders, innovators and influencers will gather to discuss the latest technologies, strategies and best practices for human capital management (HCM) in the digital age. The conference will be held from Aug. 29-31 at The Cosmopolitan in Las Vegas. SuccessConnect will feature dozens of industry luminaries presenting impactful trends and insights during keynotes and interactive sessions. The event will assemble SAP SuccessFactors executives, customers and partners, including Veritas Prime, as well as industry analysts and thought leaders, to discuss major trends impacting HR, new strategies for managing the total workforce and how cutting-edge cloud-based solutions can help build people-centric organizations. Veritas Prime's continued cooperation with SAP SuccessFactors is helping companies digitalize and transform HR, and accelerate business execution. Veritas Prime has leveraged its understanding and proven track record with companies of all sizes and in many markets, and offers this expertise in conjunction with market-leading SAP® SuccessFactors® solutions. Veritas Prime aims to not only help move customers to the cloud but to truly transform the work experience and provide an agile HR platform. 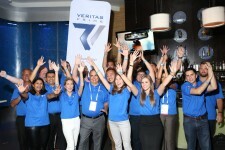 At SuccessConnect Las Vegas 2017, Veritas Prime will have a strong team of 20 experts in SAP SuccessFactors solutions on-site to provide roadmap sessions and live demos, and introduce its unique support tool, www.helpmycloud.com™. Recognized for its transparency, Veritas Prime will lead a panel discussion with three customers, who will provide valuable insights into the successes and challenges they faced on their journeys. They will share their strategies and best practices for success, including critically important observations after going live. Facilitated by Veritas Prime's founding partners, the presentation is titled "Expert Panel: Life After Going Live — the Journey to Developing Your Support Strategy" and will take place on Wednesday, Aug. 30 from 3:00 - 4:00 p.m. in Yaletown 3 - Conference Level 4. The panelists come from a variety of organizations: small to large, global to U.S.-specific and hybrid to full cloud. Mike Pappis, one of Veritas Prime's founding partners, said, "Veritas Prime is excited for SuccessConnect Las Vegas, as it is our most important annual event to engage with customers and help them develop their ongoing road-map strategy. We are very proud to be a Gold sponsor again this year, with an excellent opportunity to present at the conference with a panel of our customers. The issues of adoption, ROI and creating an overall support strategy could not be more prevalent for SAP SuccessFactors customers as the installed base continues to grow. We, of course, understand the existing challenges faced by customers adopting a cloud-based software as a service and look forward to sharing information about our signature support services offered via our proprietary platform, www.helpmycloud.com." SuccessConnect 2017 is the premier global event for networking, learning about innovative HR technology and thought leadership trends, and sharing best practices about digital transformation. SAP SuccessFactors HCM solutions and customers will be on full display, showcasing how businesses can put people first and help them succeed. To register and for more information on SuccessConnect 2017, please visit http://www.sapsuccessconnect.com/en_us/las-vegas-2017.html. Veritas Prime, based on its core values and principles, means "Truth and Excellence," and is dedicated to providing clients the best service. An SAP partner with SAP Recognized Expertise in cloud HR solutions, Veritas Prime is a top-notch consulting firm specializing in Human Capital Management technology and specifically SAP SuccessFactors solutions. Unique in their consultative approach, all Veritas Prime employees are trained in the core HR solution, SAP SuccessFactors Employee Central, in addition to their specialty areas (i.e. Talent, Learning, etc.). In addition to running HCM implementations, Veritas Prime also specializes in other key areas within HCM technology, such as project advisory, product development and support through its unique tool, www.helpmycloud.com™. For more information about Veritas Prime, visit www.veritasprime.com. SAP, SuccessFactors and other products and services mentioned herein as well as their respective logos are trademarks or registered trademarks of SAP SE (or an SAP affiliate company) in Germany and other countries. See http://www.sap.com/corporate-en/legal/copyright/index.epx for additional trademark information and notices. All other product and service names mentioned are the trademarks of their respective companies. Veritas Prime, based our Core Values and Principles, means "Truth and Excellence", and is dedicated to giving Clients the best service. Veritas Prime Sponsors SAP SuccessFactors' SuccessConnect 2016 - Success Is Simply Human.